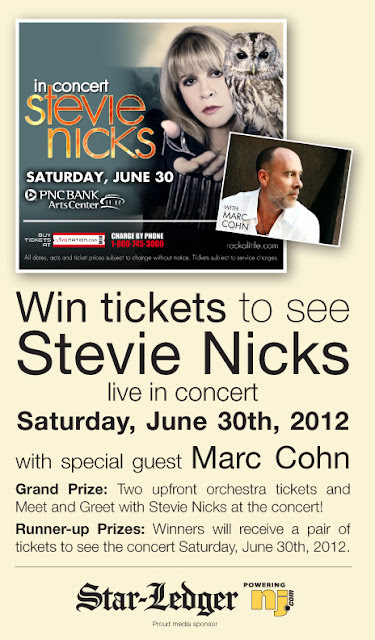 Enter for a chance to win two (2) upfront seats and a meet-n-greet with the legendary Stevie Nicks when she comes to PNC Bank Arts Center June 30, 2012. Her special guest will be Marc Cohn. Twenty-four (24) runner-up winners will win a pair of tickets to the concert! Hurry, your chance to win ends on June 25, so click here now to enter to win! The contest is open to New Jersey residents 18 years and over as of June 18, 2012.